After travelling a lot whether that being backpacking or simply holiday making I always find myself losing things or struggling to find things that I was sure I had packed before. The problem being when using a big backpack or suitcase I always find myself having this issue over and over again. It can be particularly problematic when you lose something important like a passport or your wallet/purse. 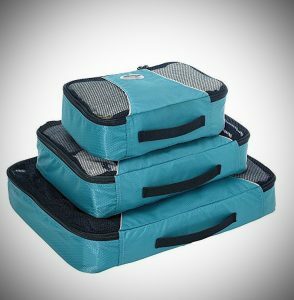 That is why I have decided to create this ebags packing cubes review. 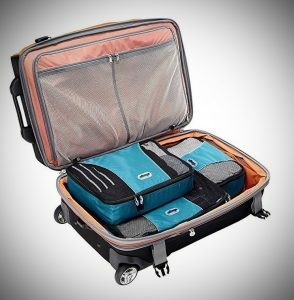 They are basically zipper enclosures which can be put into backpacks or suitcases to help you split up your belongings/gear to become more organized. They come in many different shapes and sizes, also with different color and patterns options. So, depending on your exact usage you will be able to find the right choice for your needs. In my review, I purchased the 3pc set here on Amazon. The first thing I noticed is they are made from a nylon material that feels quite durable and very light. They have a mesh area on the top of each of the bags which helps when it comes to allowing the air to flow. This helps for things like stopping clothes from getting damp in a more humid climate or it also stops food from spoiling as it allows the air to flow and stop the contents from getting too warm. Now that I can see the material of the bags is well made I want to see the other areas that I feel are important to judge if it is a well-made product. One is the seams which join the material together. 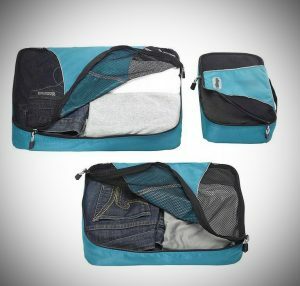 Ebags claim that the seams are built with durability to ensure a long-lasting product, and on closer inspection I can see that they are fabric bound and are well put together. 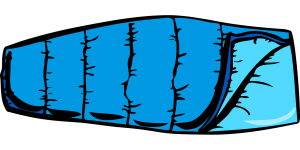 A common problem with seams is that they are prone to snag on the inside and over time this can cause them to become separated. These seams will not snag so you won’t have to worry about that here. It’s not a major consideration but it will most definitely be able to take some serious punishment and will last longer because of it. The other area I wanted to look more closely at was the zipper. Again, this is a common problem area with these types of products. If the zipper breaks it basically renders the products useless, therefore it’s important that they are well made. Their zippers are in fact made by another company by the name of YKK. YKK are the world’s biggest manufacturers of zippers and you can see that the zippers functionality is very solid. When I used it, it didn’t snag or get caught or get stuck, that’s always a good sign of a quality zipper. Also, the zippers have corded pulls which makes it easier to zip that not having them. Ebags know that their product is of the highest quality and they have included a lifetime warranty. Not only is this a nice assurance that is that product breaks they will cover you, but in my experience products that offer a lifetime warranty tend to not need the warranty at all because they never ever break! When it comes to me, I personally use all 3 when travelling in my bigger suitcase. 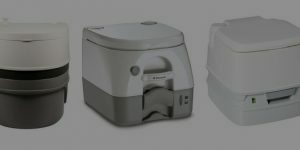 I the big one to store all my pants and shorts and the smaller one to store some important things like documents or reservation information along with medicines etc. Using them really makes sure you keep everything in a set place and I find it easier to pack things when they are nicely separated like that. When I go somewhere I pack the medium sized one but don’t put anything inside. I use it for putting my laundry it’s so handy for that, I can’t travel somewhere without it now! Also, when I go backpacking I like to use the smaller one for keeping some more important things organized so I can easily find them and don’t have to go digging to the bottom of the backpack when I need something. 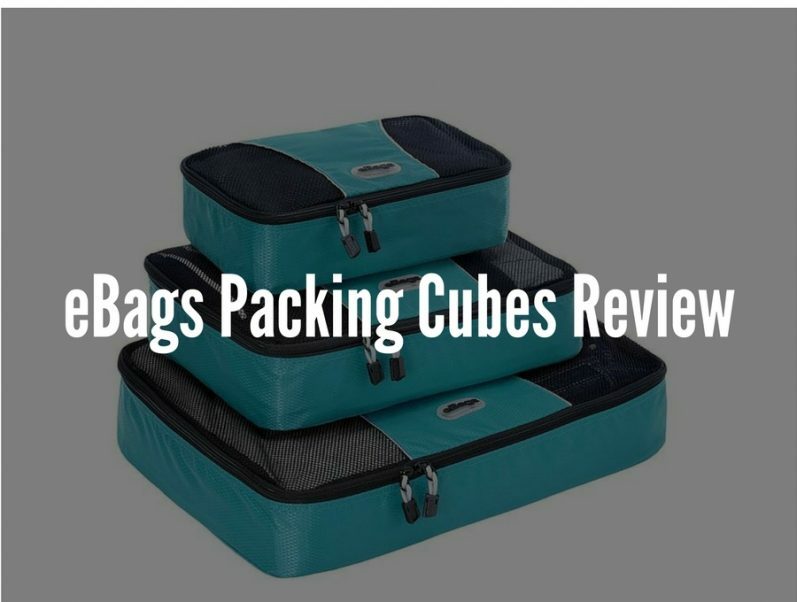 After using these Ebags packing cubes I can see why they are rated 5 stars on Amazon after thousands of reviews, they do exactly what they are meant to do, all while remaining light and built to last. 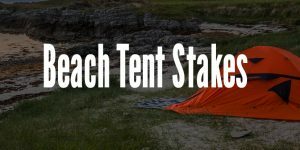 You can find basically any size or color that you want and all at a great price point. 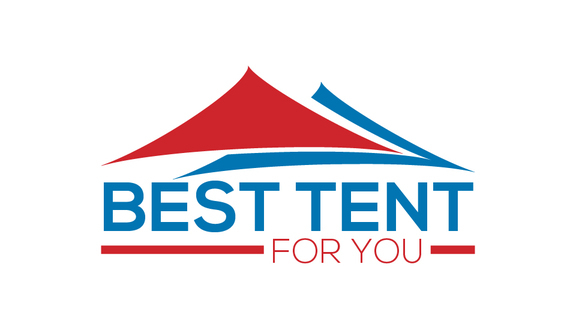 I wholeheartedly recommend them, if you are wanting to organize your things or even have that inkling they will be an ideal choice for you!